It’s Friday morning in Mr. Lippe’s personal finance class at Whitefish Bay High School. Students listen to Art Rothschild’s advice. Art learned early the focused discipline he preaches to the students. He was a Boy Scout. He was on the high school debate team and the wrestling team. Though he didn’t always know what he wanted to do, Art learned valuable lessons in what he didn’t like. “Boring, but darn good background,” he tells the class of his time at a law firm. Ditto his stint at a top accounting firm. As a child, Art learned that he enjoyed investing, thanks to stock-picking experiences with his father and grandfather. As a lawyer, he gravitated to estate planning. As a CPA, he specialized in personal financial planning. Art left his position as an international tax manager at S.C. Johnson & Co., in Racine, to get back to his passion for financial planning. “I’m simply somebody who helps people with their money,” Art tells the students. Explaining the benefits of planning for the long haul and distributing investments across a variety of assets, Art tells the students how he was drawn to Landaas & Company by its reputation for objective advice. “All we do for a living is advise our clients as to what they should do with their money to be successful in life,” Art tells the students. 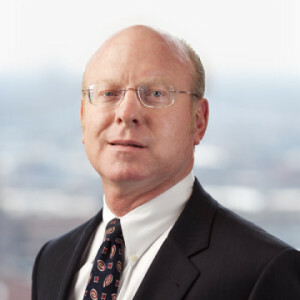 An honors graduate of the University of Michigan and the Wayne State University Law School, Art has been with Landaas & Company since 1992. He and his wife, Vikki, care for the lizard, cats and dog left behind by their two grown sons. Art enjoys movies, skiing, running, writing and swimming. For several years, he has been active in the soccer community in Racine – first as a coach, then for many years as a board member of the Racine Area Soccer Association.